Shadow Puppets from Olive Us on Vimeo. --If you're going to try to do classic silhouettes, have something interesting for the kids to watch so that they'll hold their heads still. It's really hard to not want to look at the drawing your mom is making right beside your head! This particular activity ended up being more active for the parents. If you want to make it more kid-action-focused, have them draw the silhouettes of blocks or other interesting objects that DON'T MOVE. --clip-on lamps might have been useful for some of the stations. --the shadow puppets were a huge hit, have multiple stations available if possible and have supplies available for them to make their own shapes and add sticks to them. Shadow puppets can also be used with the same set-up as the hand shadows. --There was something a little extra wild about having a program in the dark. I was not anticipating how much it would affect the mood of the class, but it definitely affected the kids. Just be prepared for that. --If it's a sunny day (ours was, sadly, NOT sunny) definitely go outside and have kids trace their shadow on the ground in sidewalk chalk and then lie down and trace around their bodies and see how different the sizes and shapes are. --This "torch shadow box" idea would have worked great if I'd been able to collect the supplies beforehand. 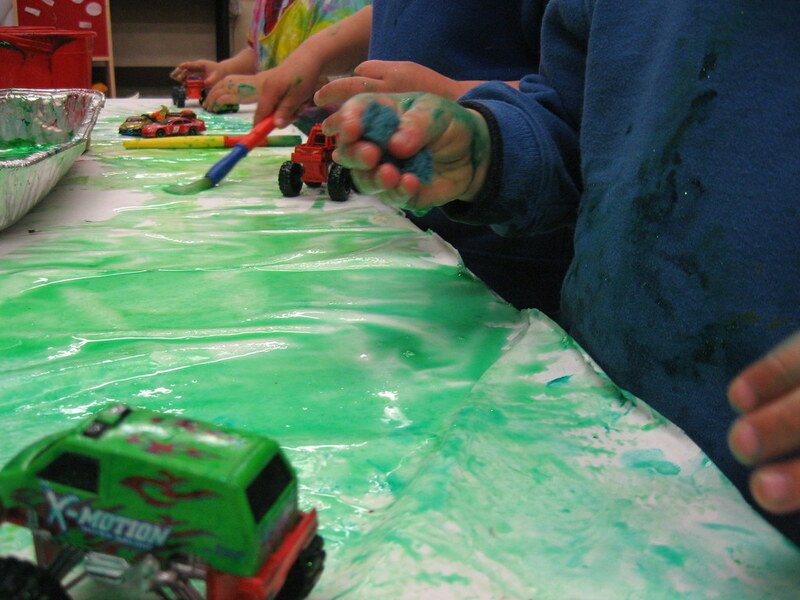 Toddler Art Class: Bubble Art!